Additional communication connection for the servo amplifiers PMCprotego D and PMCtendo DD5. 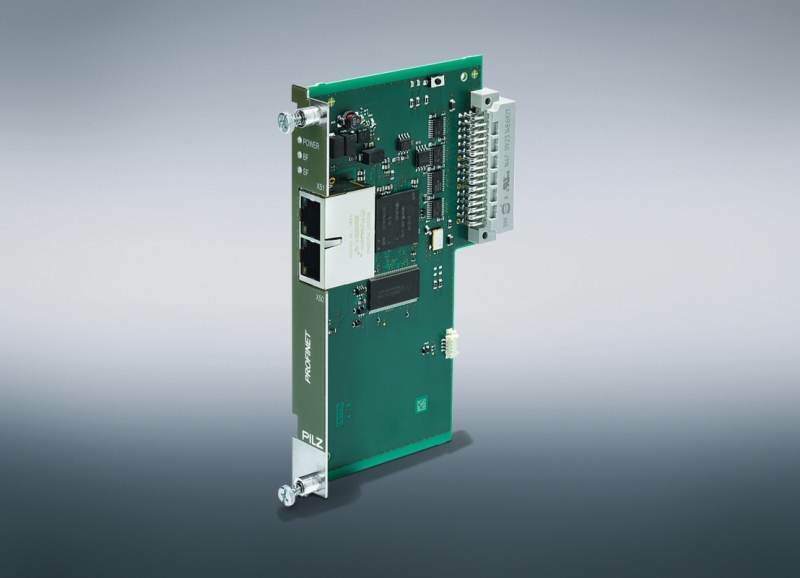 Pilz servo drive technology is open for your individual solution: You can now also use the servo amplifiers in PROFINET networks in addition to other fieldbus systems. Benefit from low investment costs! The interface card for almost all relevant fieldbus systems is simply plugged into the option slot on the servo amplifier PMCprotego D. You can access all amplifier functions directly. The intermediate circuit connection with intelligent ballast circuit enables an optimum energy balance. In many applications, including on critical axes, external brake resistors are no longer needed. Pilz drive solutions are flexible to use - irrespective of the higher level control system. We will be happy to provide individual advice about the risk assessment, through to drive configuration and commissioning. The new PROFINET interface for the servo amplifier PMCprotego D and PMCtendo DD5 can be found in our shop under item number: 680150. Use the new expansion card in the servo amplifier PMCprotego or PMCtendo DD5.